Mark Rose and Roberta Jacyshyn met at a jam session in a Colorado jazz club. Roberta was born in Philadelphia, but at the time that she met Mark she was living in Colorado Springs where he had spent most of his life. They quickly found out that they had a common interest and have been agreeing on the subject ever since. 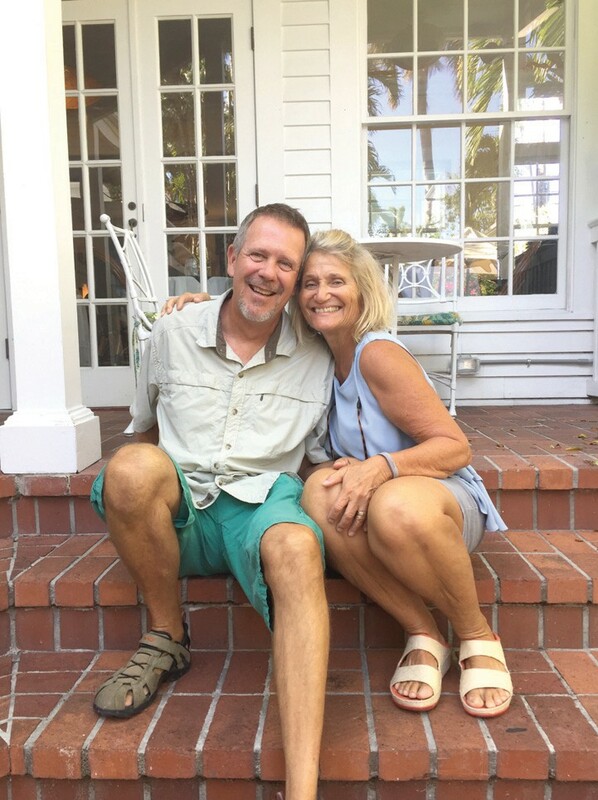 “Music is what makes us human,” Mark says over a conversation in the quaint and charming back yard of the Gardens Hotel, where he often performs for its weekly Jazz in the Gardens on Sundays at 5 p.m.
“Everybody speaks music; it’s universal,” Roberta adds. Judging by the way they talk about it, it’s possible that if it wasn’t for music, they may never have met and fallen in love. In the early years, before they got hitched, Mark and Roberta were teachers by day and musicians by night. Mark taught fine arts and Roberta led music and theater arts programs. Both were recognized within their professions for their hard work and genuine talent. Mark was contracted to play with a long list of famous names including Dinah Shore, Bob Newhart and The Temptations, while Roberta was so passionately dedicated to her career in education that a scholarship was named after her. In her 30 years of teaching, a few of Roberta’s students would go on to become high-profile performers on Broadway and in Cirque du Soleil in part because of the importance she put on schooling. Mark, on the other hand, was mainly inspired by his mother. Mark and Roberta enjoy traveling together. They moved to Mexico City for a year in 1991 and continued teaching. 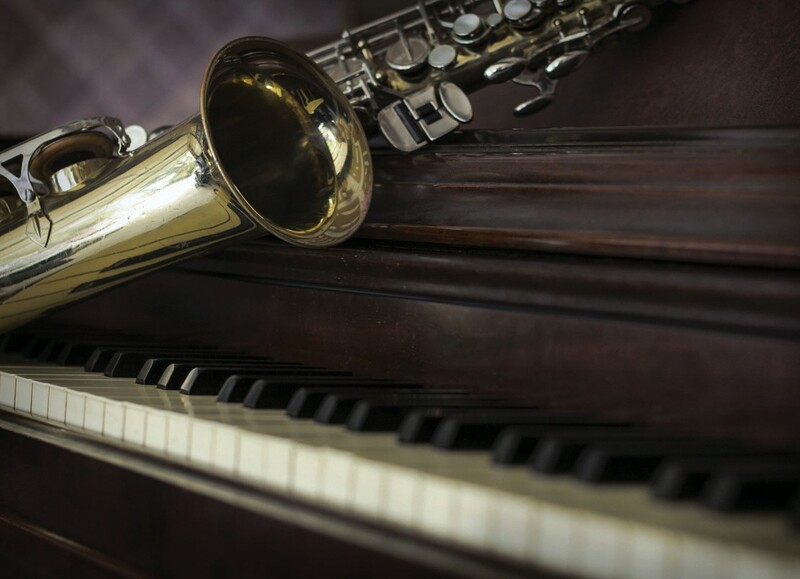 He taught band and orchestra and she taught vocals, After that, they headed to Miami, where he pursued a master’s degree in studio jazz performance and she pursued one in keyboard and chamber music. It was at this time that the couple started taking short trips to Key West on weekends and holidays. It didn’t take much for them to be convinced by the open ocean and the eclectic culture that this would be the next best place for them to call home for a while, or maybe forever. They’ve been living on the island for five years and have naturally become rooted in a group of musicians, who make music as it was before solo guitarists took over the everyday bar scene. At the moment, Mark plays alongside local legends Peter Diamond and Tim McAlpine as a pop-jazz saxophonist at Grunts Bar, 409 Caroline St., and often joins in with the Paradise Big Band or other brass ensembles at hideaway venues such as the Little Room Jazz Club, Virgilio’s and Blue Heaven. Roberta’s piano sets are a little bit more exclusive and can only be enjoyed by guests of the historic Amsterdam’s Curry Mansion Inn on Caroline Street during its complimentary happy hour. However, she has been known to do the occasional duet with her husband. The two are also working on a collaborative album with a blend of classical, jazz and pop hits. “Mark has had an influence in the jazz world on me,” Roberta tells me. “And Roberta has introduced me to new composers I have never heard of, especially in the Broadway field,” Mark shares. When all is said and done, it seems that the common interest that first brought them together is still an important part of their life. It has helped to shape their story from the classroom to the stage and it’s even taken them international. If you are going to be married to the music, then you might as well marry someone who is into music, too. As with many underground artists, you will have to check the local music calendar listings to see where Mark is playing next. As for Roberta, if you want to see her set, then you’ll either have to get lucky with one of her guest appearances or book a room at the Curry Mansion. There should be plenty of time to find them since they have no plans to leave Key West. Before we part ways, Mark leaves a few final words that, like head jazz, are worth thinking about.